Guest post by Susan Kanvik, healthcare senior director, Point B. The goals of data governance have long been clear outside of the healthcare industry. Organizations want to enable better decision-making, reduce operational friction, protect the needs of data stakeholders, train management and staff to adopt common approaches to data issues, build standard, repeatable processes, reduce costs and increase effectiveness through coordination of efforts and ensure transparency of processes. Data regulatory mandates will increase the need for data transparency. For example, the requirement for distribution of clinical studies data for public consumption requires pharma and biotech companies to publish clinical study information publicly. This public exposure shines a light on the data, requiring it to be accurate and with consistent definitions. As patients move toward becoming data consumers, the need for accurate data with consistent definitions becomes even more important. Higher deductible coverage is driving patients to research and buy healthcare services based on published data regarding a healthcare organization’s cost and quality. Additionally, patients are managing their health correspondence via patient portals which, again, requires absolute precision with data accuracy and definition. The migration to enterprise data solutions and less clear ownership of data is becoming commonplace. 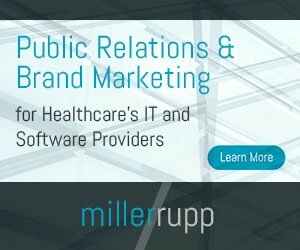 While many healthcare organizations were well on their way to implementing enterprise EHRs, moving away from siloed applications, the health IT incentives included in the Patient Protection and Affordable Care Act (PPACA) have pushed a much higher number of healthcare organizations to enterprise solutions. With an enterprise EHR clinical solution, where data is less siloed, data “ownership” is less clear. In the not so distant past, individual departments would manage their own data. The move toward the adoption of enterprise systems requires enterprise level governance, which will increase in importance during the coming year and beyond. Reporting requirements in healthcare have increased in scope and complexity. Having a data dictionary, a common data governance tool, facilitates common definitions, which is critical in supporting reporting requirements. Sharing of data across healthcare organizations heightens the need for increased IT security. As healthcare organizations have grown through acquisitions and partnerships, many are finding it hard to share data within their organizations due to a lack of interoperability across different EHRs. This creates a challenge to share data beyond their organization, and healthcare organizations will need to carefully manage both how data is shared and the increased security risks that come with that sharing. Sharing of data and address the increased security risks that accompany it.